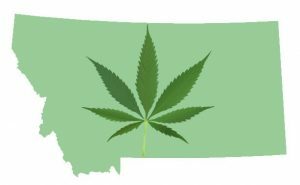 Montana regulators have set the maximum amount of space that medical cannabis providers are allotted per patient at 30 square feet, causing overproduction concerns among licensed marijuana companies. The state health department set the amount for square footage for each registered patient while finalizing rules for the medical marijuana program earlier this month, the Billings Gazette reported. Montana’s MMJ program is designed so providers grow cannabis for each patient with a medical condition that’s treatable by marijuana. Kate Cholewa, a lobbyist for the Montana Cannabis Industry Association, told the Gazette that providers need only between 3 and 10 square feet per patient. She’s advocating that the state not factor in patient counts when determining the square footage allotted for grows. According to the newspaper, Carlo Giaquinto, a provider with a company near Roundup, Montana, said he’s concerned the large cultivators representing many patients will grow so much cannabis that there will be surplus that causes prices to drop. The state originally considered an allotment of 50 square feet of grow space per patient. Montana’s new rules for medical cannabis also include a new tax, lab testing charges and steep licensing fees.